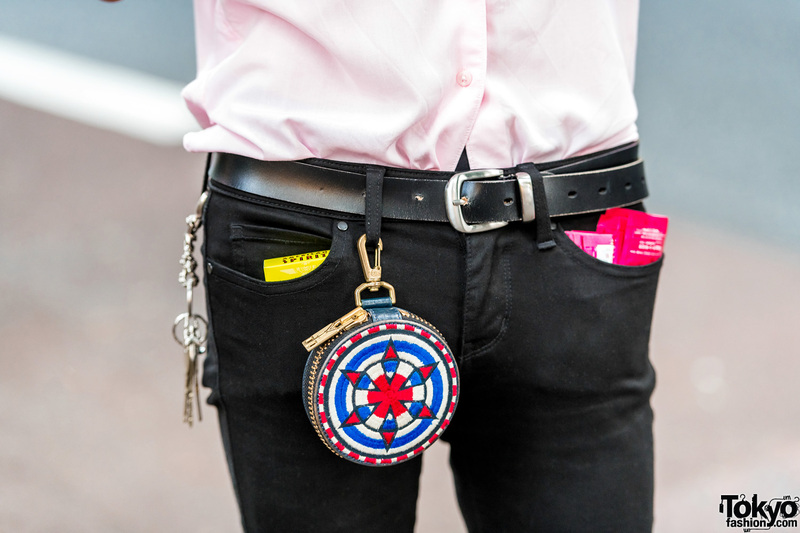 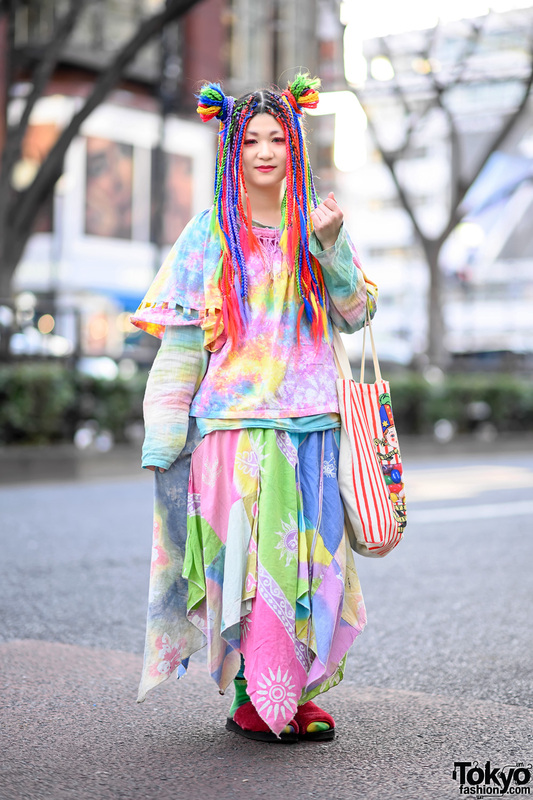 While walking along the streets of the Harajuku neighborhood, we came across S.you – the designer of The Symbolic Tokyo. 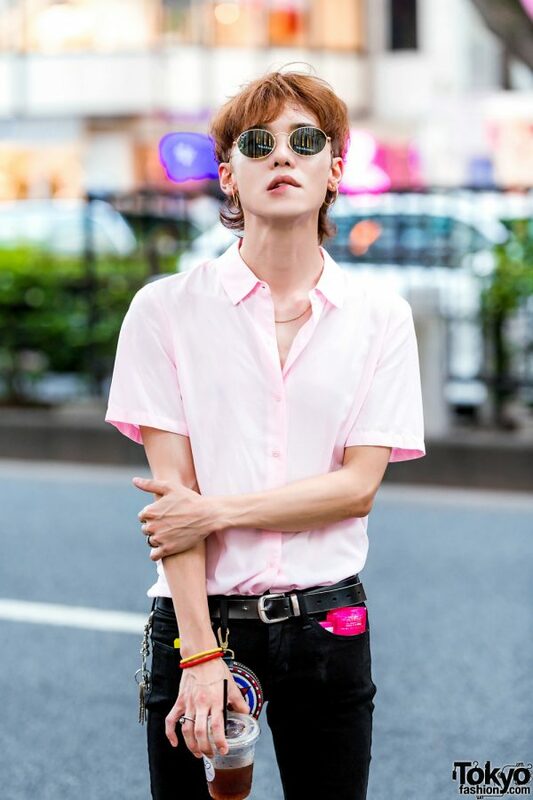 Here we see S.you dressed in a light pink button down shirt tucked into black skinny cropped pants, both of which are from John Lawrence Sullivan. 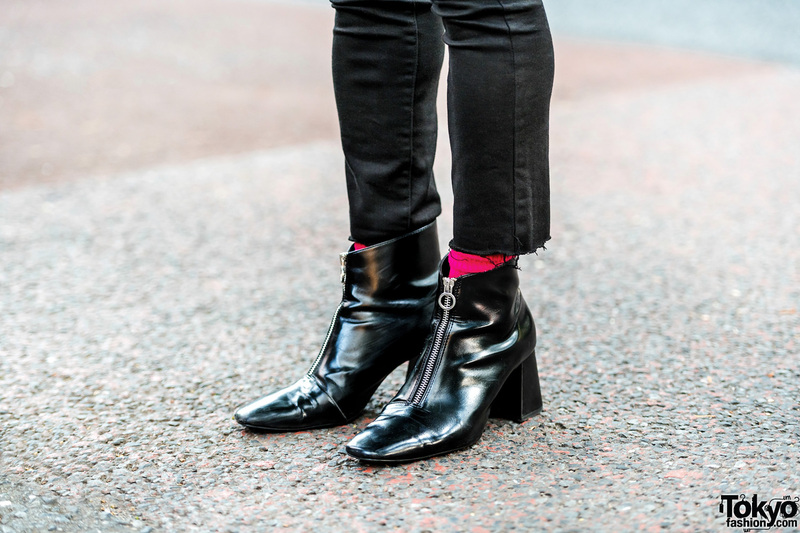 Hot pink socks, pointy zipper heeled boots from Zara, and accessories – some from Blackmeans – such as round sunglasses, gold hoop earrings, a chain necklace, a black leather belt, and a colorful coin purse keychain. 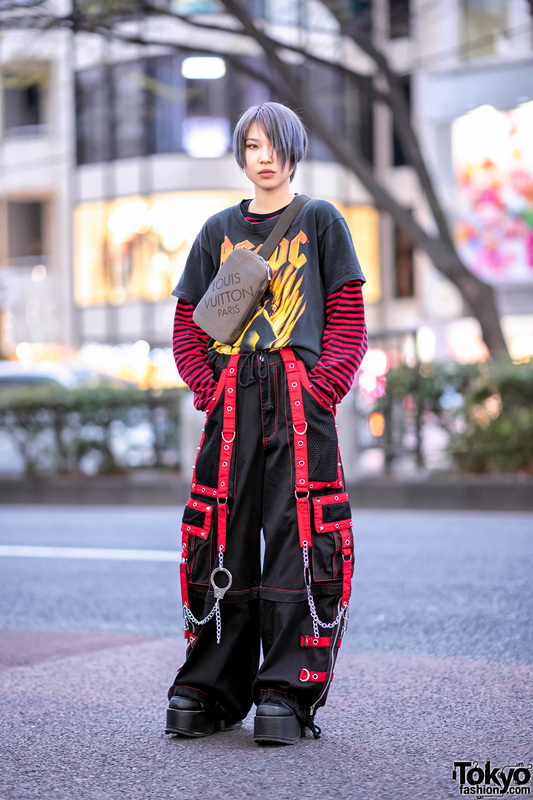 For more of S.you’s fashionable streetwear ensembles, follow him on Instagram.